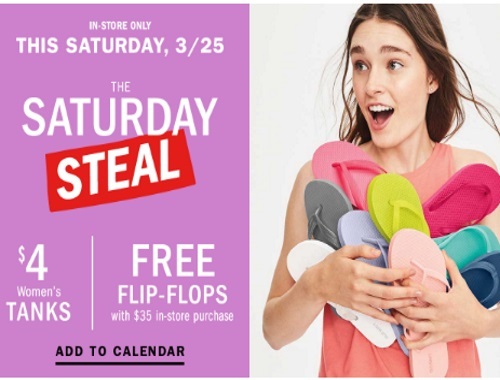 Old Navy has a Flip Flop deal coming up! Get Free Flip Flops with any $35 in-store purchase! Free flip flops apply to solid colours only. While supplies last. Select styles only. Limit one gift per customer. There are also $4 Women's Tanks available. This offer is available in-store only this Saturday March 25, 2017.